Image obtained by overlapping two different photomicrographs of the same brain slice. 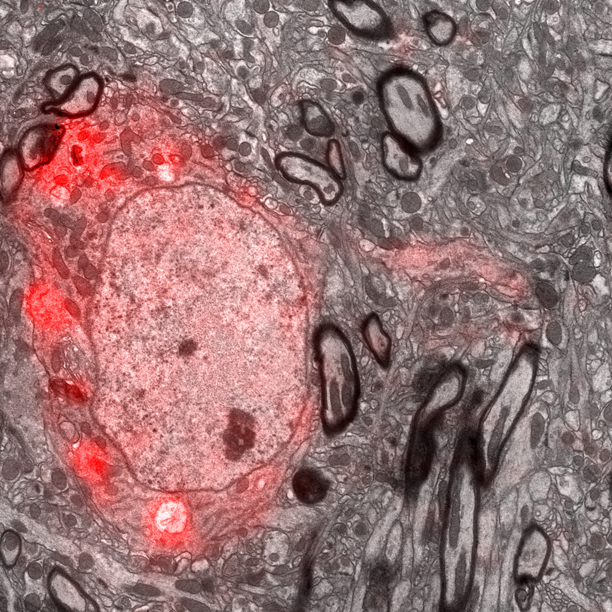 The first, where a single neuron is stained in red, stems from a light microscope. The second, where all surrounding neural membranes can be seen in black and white, stems from an electron microscope. The tissue was taken from a region of the songbird’s brain critical for generating the song’s melody.